"So, if I were to say &apos;hello, friend&apos;, in latin it would be &apos;vale amica&apos;?" "That is correct... very well done, Ciel." Ciel smiles slightly, turning back to his developing notes to scrawl a phrase onto the parchment. "Now I&apos;m going to say something that I haven&apos;t yet taught you. Tell me if you understand." Ciel looks up to the eldest demon, his eyes full of doubt. "Amare mea, mea discipule... hospitium ad infernum." Ciel stares at the man in front of him. The words he uttered had been crystal clear to him. A light blush dusts his cheeks. "Y-you said... you said &apos;my love, my apprentice... welcome to hell&apos;." Sebastian&apos;s smirk is full of fire as he nods. "You see... there is no need to learn that in which you clearly already know. The predisposition is there, no?" "Y-yes... I suppose you&apos;re right, then." "Now I must encourage you to speak natively whilst we reside here... alright?" Ciel nods as he speaks, though it is not English in which he utters forth. His hand comes up to cover his mouth quickly. The latin he speaks comes to him so naturally, now... as though he had been speaking it his whole life. The words float around inside his head, crawling into the crevasses of his mind and resting there. "Very good, Ciel. Now it is getting very late, I must urge us both into rest. Though it&apos;s unneeded, I have reasons to be concerned about the morrow." Ciel&apos;s ears take in the demonic native tongue easily and he nods, a light bout of worry now coursing through him. As he lays down in the bed where he sits, his eyes fixate on the shadows the hearth casts upon the floor and walls. It looks like a fein its self, swirling and dancing like a sprite around a campfire; ready to burn the forest down at a moments notice. Ciel thinks, that perhaps he is the one waiting to burn the forest down. Perhaps he is the spiteful little fairy just waiting to destroy. Then the light he watches slowly fades as Sebastian cools the torches one by one with his gaze, leaving only one before extinguishing the fire in the hearth as well. A dim light is all there is now, cast only by one small, eternally burning torch. Sebastian&apos;s warmth envelops Ciel as he pulls the light quilt over the two, wrapping his arms around Ciel and pulling him close to his chest. Ciel lets out a little mew as his lover draws him near, snuggling up the raven haired one. Sebastian runs his fingers along the little doe&apos;s torso and hips, his feather light touch sending shivers throughout Ciel. "It may sound absolutely mad now, but I&apos;m glad this all happened. I&apos;m glad that I got turned." Sebastian smirks against the boy&apos;s ear. "As am I, little one." Ciel turns to face Sebastian, his face a mere inch away. He can feel Sebastian&apos;s breath mingling with his own... he can feel Sebastian&apos;s heartbeat beat against his chest, and he can only lean in to press his lips to Sebastian&apos;s.
Ciel&apos;s eyes cannot stay open as their mouths begin to move together, their arms coming around each other even tighter than before. Ciel mews again into the kiss, his legs entangling with Sebastian&apos;s under the now smothering quilt. Ciel&apos;s tongue swipes across Sebastian&apos;s lips, yet Sebastian gains entrance into Ciel&apos;s mouth first, their tongues dancing in a flurry of heat. 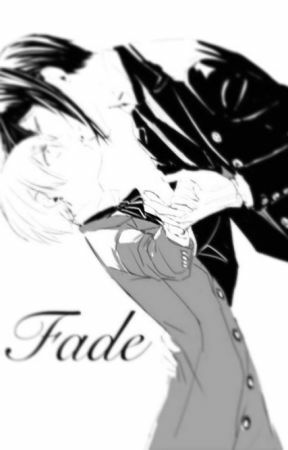 Ciel pulls away quickly if only to catch his breath, Sebastian&apos;s name the only thing lingering on his tongue. But Sebastian silences him, covering Ciel&apos;s mouth with his own before shifting his weight and pinning the former Earl to the bed. His searing tongue grazes along the milky flesh of Ciel&apos;s neck and ear, lightly nipping at his most sensitive places. Ciel arches slightly into him, both of his hands now bound by the demon. Then, it is Sebastian who slowly pulls away, his dark ebony hair fluttering through his breathing and sticking to his forehead. "Ciel... you know I meant it when I warned about my true fiendish form, don&apos;t you?" Ciel nods, his fragile wrists now being released from Sebastian&apos;s dominant grasp. Sebastian sighs, running a hand down Ciel&apos;s soft side and hip, gently kneading the flesh above his thigh. "Tomorrow Taurus will come and fetch us for the beginning of your &apos;training&apos;. Now that you understand latin fully, I trust you will be able to act the part?" His eyes glow with a mysterious haze, the dark and hellish crimson floating around his irises like the fog that he used to see crowd the streets of London. "I&apos;m sure. 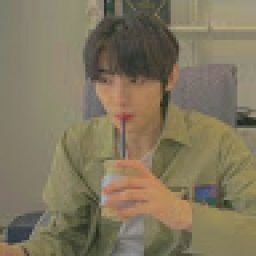 All I must do is act confused and dependent? I just do what you say." Sebastian nods, propping both of his elbows aside the boy&apos;s head so he may lean freely and gaze at him. "We will try to be gone by the over-morrow. As long as we can discover what happened here... or at least prove that this district is harmless enough, we will move on to the next." "Alright then. Let us hope that this is as easy as we imagine."